If you own a Kenwood washing machine and it’s out of service for some reason, don’t hurry to contact the service center – there’s a possibility to solve technical issues on one’s own. Why not order the warranty maintenance? First, the maintenance period usually lasts for 12-24 months, and when it’s over you have to pay for services. Secondly, the service centers perform need at least a couple of weeks to perform diagnostics and repair. That’s too long: waiting all this time without having a washing machine at your disposal is too inconvenient. 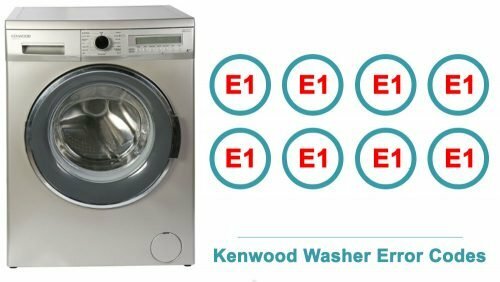 How to repair a Kenwood washer without professionals’ help? The tables below present maintenance instructions: they enlist the most widespread technical problems of different Kenwood models, possible causes of problems, and ways of solutions. Most of these step-by-step guides are easy to follow for an average user. Besides, there are also error codes included in the tables. 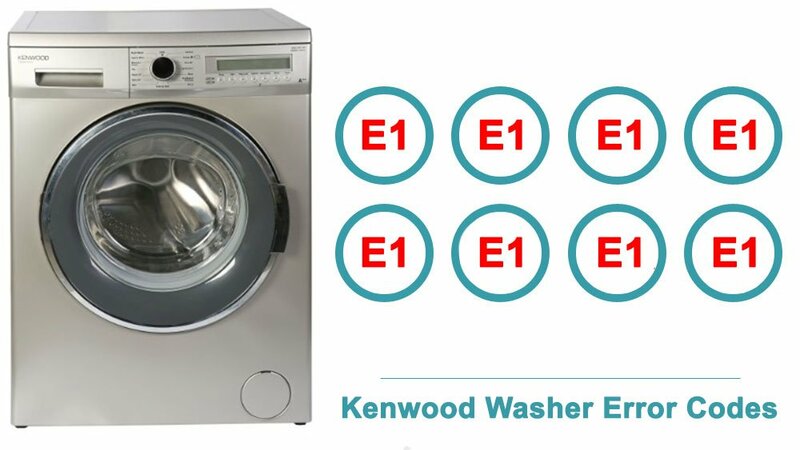 Whenever your Kenwood washer displays an error code on the LED indicator, you will be able to define the exact technical problem correctly. There’s no need to search for the printed manual – the meaning of error codes is mentioned right here. Figure out the issue, and you will know how to solve it. Most malfunctions can be eliminated by the user without the help of service centers. But mechanical damage and software faults should be fixed by a professional only. E-1 The door is not shut property. Shut the door properly so that you hear the click. E-2 The water level in your machine is below heater. The pressure of your water supply may be low or locking. Check the water supply to the machine. E-3 The pump has failed or the pump filter is obstructed. Clean the pump filter.